Agency Power Carbon Fiber Vents and Ducts - Dezod Motorsports Inc - Home of the automotive performance enthusiast since 2002. 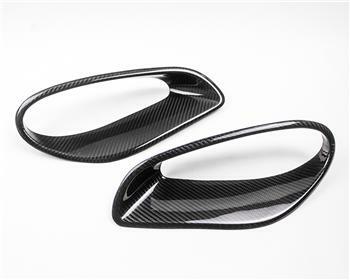 Agency Power now has these stylish carbon fiber vents and air ducts. The vents and air ducts are finished in a 2×2 carbon weave with a high gloss clear coat. Carbon fiber has always been a stylish addition to any vehicle. These carbon vents and air ducts are sold as a pair (where applicable) and are finished in a gorgeous glossy finish. Each pair is hand made here in the USA.